In Paul’s letter to the Ephesians he prays for the saints there several times. In chapter one he asks that the Father of glory might grant them a spirit of wisdom and revelation in the knowledge of Him (Eph. 1:17). There is certainly no better way to come to Jesus than to devote yourself to the study of His Word, which points to Him and His love in every chapter (John 5:39). In fact, Paul will tell the saints in Rome that faith comes by hearing and hearing by the Word of God (Rom. 10:17). God has chosen to use His word, empowered by the Holy Spirit, to teach His people about Himself. For that reason the Bible is filled with injunctions to study diligently, to read and be taught regularly, to meditate on His Word daily and hide it in your hearts. We at Growing Thru Grace have been given by the Lord one single task: teaching God's word from cover to cover to the best of our abilities in Him. As an outgrowth of our church, this radio and internet ministry is committed to the reading of the Scriptures, plus the training and teaching of the saints by the Word of God. As Peter told us in his 2nd epistle, in God's Word we have been given everything that pertains to life and godliness (2 Peter 1:3). As such we seek to make available, as economically as possible, studies and study helps that will assist you in your growth and understanding of God through His Word. This e-store will present to you all God has given us to better equip His saints in the truth of His Word. We have made teaching available on every verse of the Bible. Most studies are available in MP3 format and can be purchased and downloaded directly from this site. As technology has allowed, we now have Bible studies on DVD and CD as well as the MP3 format. If you would like to follow along with our weekly studies at Morningstar, each week the current studies are always available for download for free at our church website www.morningstarcc.org. We believe and pray that as God's Word goes out, fruit will follow (Isa. 55:8-13). Please continue to pray for us here at Growing Thru Grace as we daily pray for you and your walk in Jesus. We need God's wisdom as to where to go next with the broadcasts and how to best reach out with His love. As always, may I remind you that radio is never intended to be a substitute for your active involvement in a local fellowship. God has established the body so we might take our place to serve and find others who will serve us in our needs as well. If you are having trouble finding a local fellowship, give us a call and maybe we can refer you to a Bible teaching church in your area. Finally, may I encourage you who listen to write us. It is often the only way we can be sure God is using the radio teachings in your area. An e-mail, short note or even a phone call will help us realize where God would have us to be. Our prayer is to be good stewards and faithful laborers in the fields that are white unto harvest. Invite your friends to tune in and pray God would do a mighty work through His Word. Thank you for the privilege of serving with you and I look forward to what God's plans are for us and for you in the days to come. May He bless your study this week! 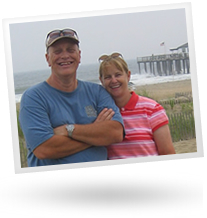 Pastor Jack Abeelen was raised in a Catholic home and attended parochial school from elementary grades through high school. At the age of 18 he heard the Gospel of Jesus Christ presented at a home study of a friend with whom he had grown up. In 1972 he gave his life to Christ and God began to work in his heart and call him to Himself. In 1980 Jack was given the opportunity to join a church staff as an assisting pastor and in 1985 went out to plant what today is the church he still pastors, Morningstar Christian Chapel in Whittier CA., a Calvary Chapel affiliate church. His gift of teaching is clearly seen in the easy and yet relevant way he communicates the Word of God. He pays attention to context, resorts to biblical examples to teach principles and is confident that God’s Word will never go out void but will accomplish whatever God sends it for (Isa.55:10-13), one of His life verses. Pastor Jack’s teaching ministry can be heard throughout the US daily with his program: “Growing thru Grace” which airs on over 400 stations and is dedicated to the plain exposition of God’s Word. His desire is that those who hear his message might turn to the God who loves them and His only Son, Jesus Christ, who He sent to save them from their sins. 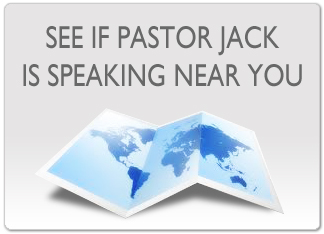 Pastor Jack is married to his wife Debbie. He has two sons, Jacob and David, two beautiful daughter-in- laws, Christy and Cheri, and five grandchildren, Ashley, Connor, Haley, Carter, and Claire.